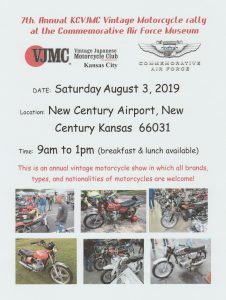 The Commemorative Air Force Museum is sponsor of this annual event. All vintage motorcycles welcome. Breakfast and lunch available through the CAF.